Alfred Anthony hailed from Allahabad in present day Uttar Pradesh. He passed out from St Josephs` School,a very prestigious institute and was an ace Violinist. Alfred was Armenian by birth as his forefathers settled in India years ago. 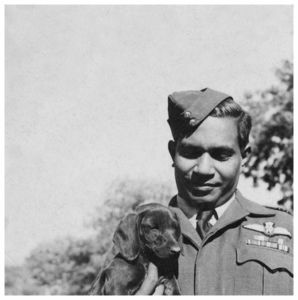 Alfred Anthony joined up to serve in the Indian Air Force at the height of World War Two. 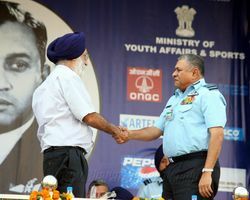 He was part of the 21st Pilots Course that commenced its training at Initial Training Wing, Poona in July 1943. He was nicknamed "Titch" by his Air force colleagues as he was just 5ft 5in tall!! On other occasions he was called Tony (a short form for Anthony). 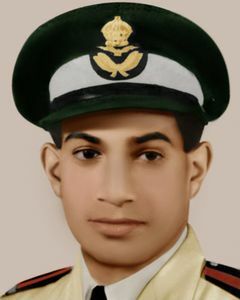 After completing the initial training Alfred arrived at the No.1 Elementary Flying Training School at Begumpet on 31 October 1943. 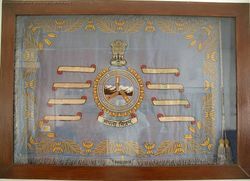 Three months of flying training on the De Havilland Tigermoth followed before Alfred was commissioned in the Indian Air Force on 31 January 1944 with service number IND/2824. He was just 26 at that time. Advanced training on Harvards continued at Ambala with No.1 Service Flying Training School, followed by training on the Hawker Hurricane at the No.151 OTU at Risalpur. On 29 October 1944, Alfred was posted to No.4 Squadron, flying the Hawker Hurricane. No.4 Squadron at that time was operating on the Burma front under the command of Sqn Ldr G S Sharp RAF from the Cox Bazar airfield (now in Chittagong district of present day Bangladesh). Four days after reporting, Alfred flew his first operational mission - on 3 November 1944. 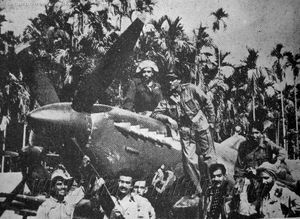 An offensive two aircraft sortie - with Flying Officer B N Surendra leading, the sortie covered the Kaladan River area. It was an eventful sortie - the two pilots found a 30 foot long boat with a tarpaulin cover . The boat was attacked and violent explosions followed. further down, they found eight sampans and sank them all with gunfire. Another sampan was sunk in PICHAUNG area. Very rarely would someone have such an eventful first mission where guns are fired in earnest! Alfred followed up the first one with another 14 sorties over the rest of the month. It was an eventful month for the squadron that saw them fly 380 operational and 120 non operational sorties! After the hectic first month, the tempo of operations continued till february. 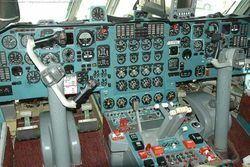 Alfred was flying several sorties most of time. Being one of the junior most officers of the unit, the opportunities were somewhat limited. In May 1945, the squadron returned to Yelahanka to re-equip with Spitfires. The Squadron then proceeded to Japan as part of the British Commonwealth Occupation Force. 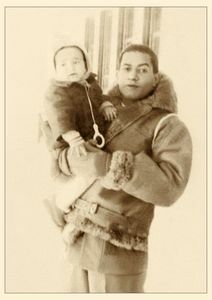 Alfred Anthony was one of the pilots who converted and proceeded to Japan. 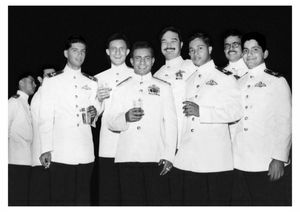 Alfred returned back to India in November 1946, having spent two years with the squadron. His subsequent postings included Allahabad, Delhi, Secunderabad, Calcutta and Madras. 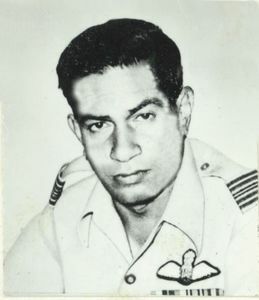 In later years he served at Air HQ, Delhi, as well as at Jodhpur. During the time he was posted at Jodhpur, Alfred donated a Japanese sword to the Air Force Mess at Jodhpur, something he had picked up during his stay in Japan with the BCOF. One of his last postings was at Air Force Station Bamrauli. 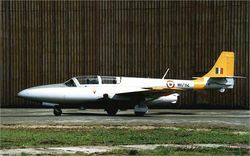 Alfred retired from the IAF in 1965. After years of retired life, he passed away in Secunderabad in 1977. 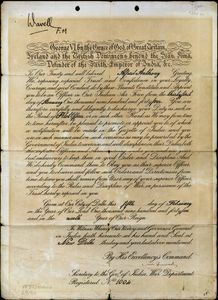 The commissioning certificate of Alfred Anthony IND/2824. The parchment is signed on behalf of Lord Wavell, the Viceroy of India in 1945. Alfred Anthony as seen during his training days before commissioning. Flight Cadets wore a white band around their head gear to signify their training status. On commissioning, the band was removed. Alfred posing with an Army officer's son (Capt Singh) on the ship to Japan. Possibly taken in 1946.